The NZ kiwiberry harvest is due to start within the next two weeks, and is expected to run for two months from early February to early April. 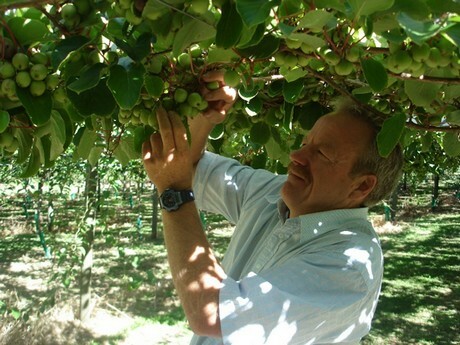 “Although it is a short season every year, kiwiberries are receiving an increase in popularity in a number of countries”, says Geoff Oliver, Chairman of the NZ Kiwiberry Grower Association. “Our Exporters are anticipating a crop of around 240,000 kg this season, which may not meet the growing demand”, he said. 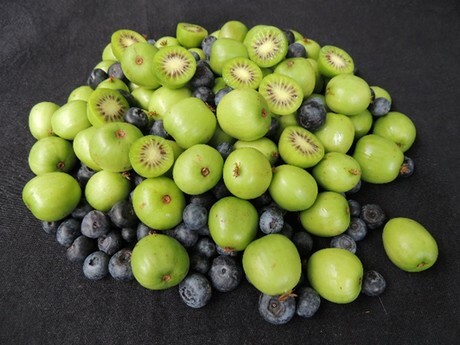 The harvest of the NZ kiwiberry crop begins only when the brix, dry matter and seeds are at a level when excellent tasting and quality fruit can be ensured to the consumer. The three NZ varieties of Tahi, Marju Red and Takaka Green all provide very different flavours. Each are ‘explosive with taste’ and provide very high nutritional value, which make them great for families, caterers, restaurants and hotels. Kiwiberries have a smooth skin, and can be eaten just like a grape. Kiwiberries have many uses such as a key ingredient in fruit cocktails, smoothies, coulees and salads, along with being a great daily snack. Combining these versatile attributes along with its high nutritional values means it is a fruit unlike many others that packs a punch well above its small size. For some growers in NZ, this will be their 15th year of production. Geoff Oliver said, “Kiwiberry is not the easiest fruit to grow and it is very labour intensive compared to its cousins green and gold kiwifruit. 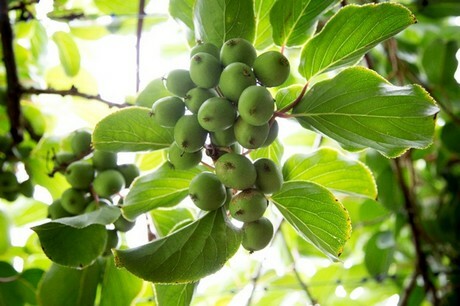 We have been growing and packing kiwiberries since 2003. To date the 2019 crop looks to be one of our better crops. The fruit sizing to date, and quality is good, and the taste is improving daily. The warm dry summer has been good for orchards, and low rainfall in January to date has decreased pest pressure, resulting in fruit with minimal defects. Over the past 15 years, NZ growers have gained a better understanding of how to grow this sometime difficult, and unpredictable crop. They are now very competent in producing a high standard of fruit which is exported worldwide to over 18 countries.